Torba has always been one of my favorite bays in Bodrum due to it's relatively flat landscape and subdued atmosphere. 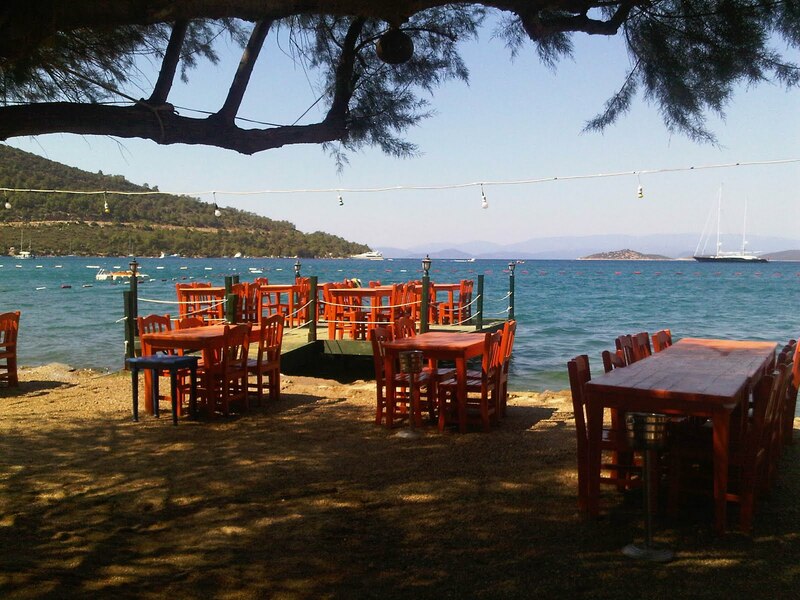 It is the first bay you pass by on your way into Bodrum, on the northern shores of the peninsula. One hot day, we left the house with intentions of going into the city center but got distracted along the way and when my little nephew fell asleep in the car, the opportunity of driving to Torba presented itself. Usually, after taking the right turn into Torba, I would turn left at the end of the road and end up leaving the car in the parking lot, since the tiny shore line is closed to traffic. Having a little guy asleep in the back instigated me to look further - I turned right instead of left and just kept on driving around the winding back streets till I could get close to the water. 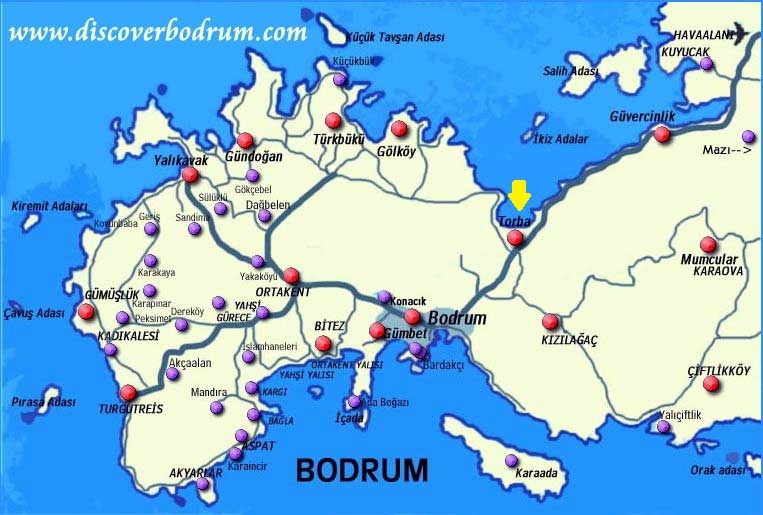 Our brief investigation paid off because we finally ended up at a place that people would have a tough time believing was Bodrum. It had the makings of a perfect deserted beach if it wasn't for the beach clubs a little further down the shore. This did not detract from it's appeal one bit though. We just sat underneath the shade of a palm tree, letting the breeze cool and sooth us. Once my nephew woke up from his nap and waded in the water a little bit, it was time to go. But as we were leaving, we saw another very attractive location we just couldn't pass by without stopping to have tea first. This was actually a fish restaurant but they were nice enough to let us occupy one of their tables for over an hour, drinking coffee and just enjoying the scenery. After a while, they even made tea just for us. 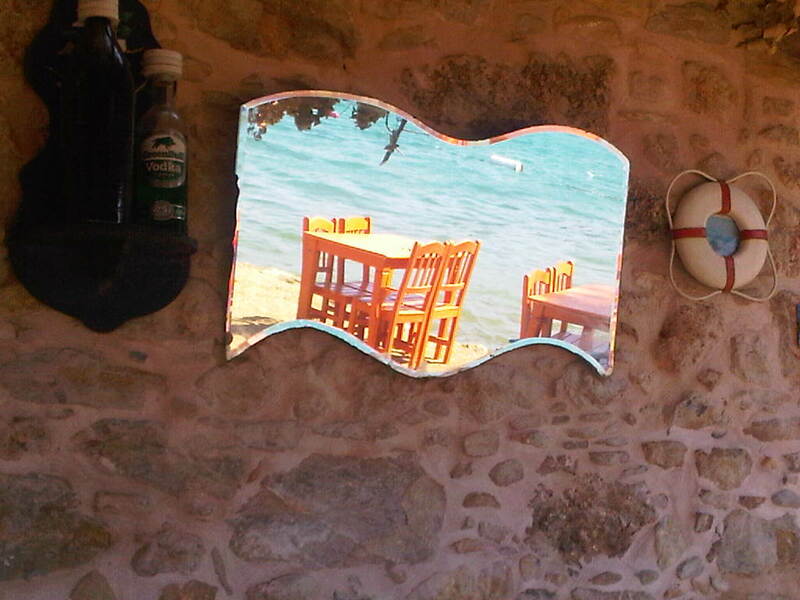 I hope I will get a chance to go back there for Balik and Raki one evening. Just as I backed out of their parking lot, I noticed we were right next to Casa Dell'Arte, an amazing boutique hotel. Need I say more? Yahsi Beach - 8.00 a.m.